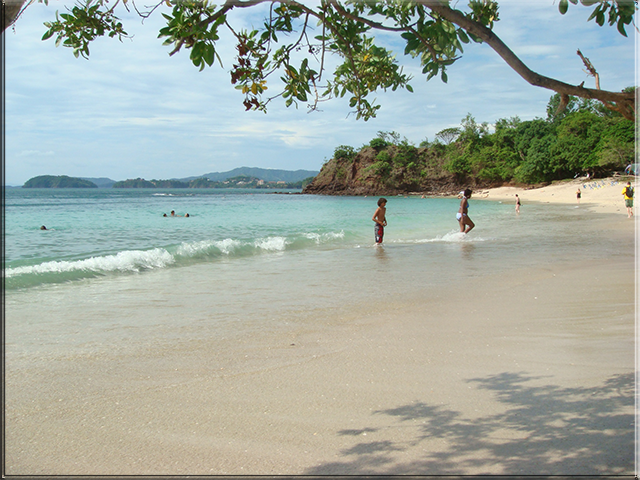 Conchal beach is located in Guanacaste, one of the most beautiful areas in Costa Rica. This beach is blessed by sand composed of millions of tiny crushed shells, sunny days, crystal waters, and incredible sunsets. It has a near perfect climate throughout the year, with more than twelve hours of light between the months of December and April. 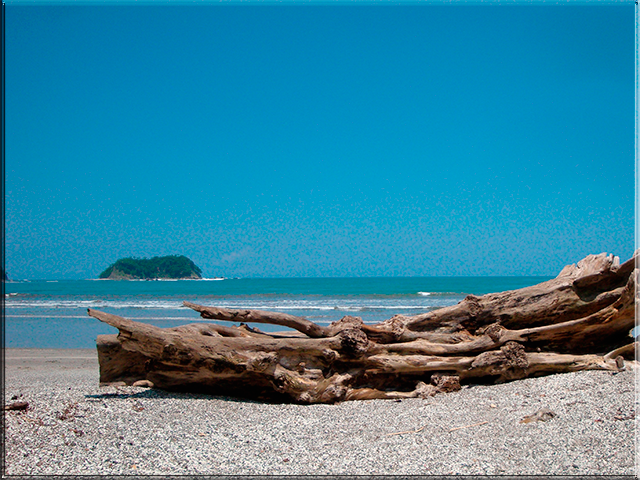 Furthermore, this beach is located about 4 hours from San Jose, the Costa Rica capital, making this an area of high tourist activity. It8217;s a wonderful place, excellent for swimming, diving or snorkeling, for its great variety of tropical fish and clear water, this beach has an ideal temperature for all the water activities. The beach's name is given from 98% of its sand being composed of tiny crushed shellsand pulverized rock strata, and 2% sand; which makes it very appealing among other Guanacaste beaches. Conchal beach is very small, but has an amazing natural beauty, like La Reserva Conchal, a natural reserve with a variety of hotels to suit all budgets, and also has camping areas. Here you can spend unforgettable vacations and enjoy fishing tours and hiking tours in the national parks or nature reserves near the beach. Conchal beach is located within walking distance of Brasilito down town. You can walk along the beach and get in a few steps to the center of this town; here visitors will find a variety of small hotels, restaurants and bars. Also, near Conchal beach you can visit Flamingo beach. This beach has white sand with palm trees, providing you with a very close paradise. This beach is easily accessible, if you come to Daniel Oduber International Airport in Liberia. This airport is located just 45 minutes from Conchal beach. The best option is to rent a car, unless you are traveling from San Jose or the Juan Santamaria International Airport, in which case we recommend you travel in shared transportation. Interbus offers shuttle transportation to/from the main tourist Costa Rica attractions at an affordable price with the benefit of traveling without having to worry about driving through unfamiliar areas. If you want to book your shuttle Enter Here, or if you want to see all the Interbus routes from to this paradise area please Click Here.